A culture of respect results in a learning institution where Indigenous students can feel welcome and inspired. 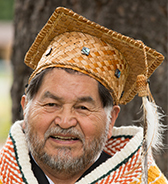 To this end, Coast Mountain College has shaped administrative protocols to make sure that there is representation of Indigenous community members and students where issues are discussed and decisions made. 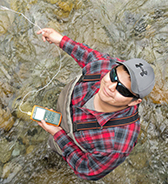 Explore our First Nations Council, Board of Governors and Education Council. Visit CMTN's Centre of Learning Transformation. 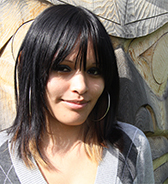 Learn about BC’s Ministry of Advanced Education Aboriginal Service Plan. 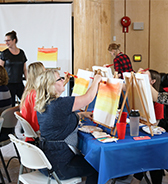 Learn more about our annual professional development day at Coast Mountain College. 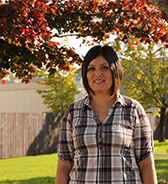 Discover how Indigenous culture plays an important role in CMTN’s convocation ceremonies. 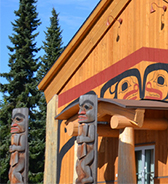 Featuring world-class art and carvings by instructors and graduates of the Freda Diesing School of Northwest Coast Art.